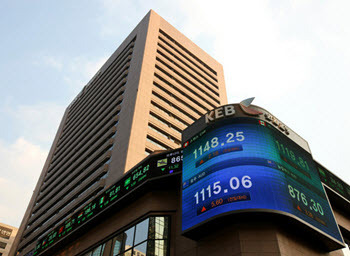 Korea Exchange (KRX) is the only securities exchange in South Korea. It is headquartered in Busan, but also has an office in Seoul. Seoul is the capital and largest city of South Korea, while Busan is the country’s second largest city and located within South Korea’s main industrial area. The Korea Exchange was formed in 2005 when the Korea Stock Exchange, the Korean Securities Dealers Automated Quotations (KOSDAQ) and the Korea Futures Exchange merged with each other as a result of the Korea Stock & Futures Exchange Act. All three became divisions of the Korea Exchange – the Korea Stock Exchange became the Stock Market Division, KOSDAQ became the KOSDAQ Market Division and the Korea Futures Exchange became the Derivatives Market Divison. The normal trading session runs from 09:00 am to 03:15 pm. Trading takes place Monday through Friday, except for days declared holidays by the Korea Exchange in advance. The Korea Exchange is headquartered in Busan, but also has an office for cash markets and market oversight in Seoul. 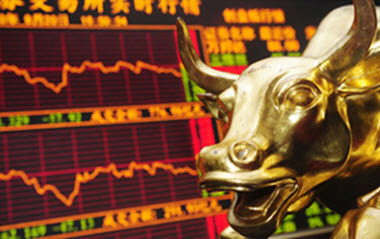 Three examples of well-known indices based on the Korea Exchange are KOSPI and KOSPI 200. The Korea Composite Stock Price Index (KOSPI) was launched in 1983. It is an index calculated based on market capitalization of all common stocks traded on the Stock Market Division (formerly known as the Korea Stock Exchange) of the Korea Exchange. The index KOSPI 200 consists of 200 large companies on the Stock Market Division (formerly known as the Korea Stock Exchange) of the Korea Exchange. The base value was set on 3 January, 1990. The companies included in KOSPI 200 tend to make up over 70% of the KOSPI, which means that KOSPI and KOSPI 200 usually show similar trends and movements. KOSPI 200 is used by futures and option markets. It is one of the most actively traded incides in the world. The trading board Korean Securities Dealers Automated Quotations (KOSDAQ) is a division of the Korea Exchange. KOSDAQ was launched in 1996 and is thus older than the Korea Exchange. KOSDAQ was founded by the Korea Financial Investment Association, with the aim of creating something similar to NASDAQ for investments in South Korean . KOSDAQ has always been an electronic stock market. July 1986 The Market Organization for Vitalization of Publicly Traded Assets for Small Businesses Act is enacted by the South Korean government. This act makes it possible for small and intermediate businesses in South Korea to raise capital through publicly traded shares. April 1987 First three companies registered at Market Organization.